By the end of the Return of the King, the quest of the Ring Bearer is completed. The One Ring is destroyed and the Realm of Sauron and all his works are destroyed. The King returns to the Reunited Kingdom of Arnor and Gondor and his rule is established throughout the West of Middle Earth. Good is victorious, yet the victory is bittersweet, for with the passing of Sauron, the end of the Third Age has come and the beginning of the Fourth Age and the dominion of Man. The Eldar, High Elves, have lost all interest in remaining in Middle Earth and will pass back into their home in the West. For a time the Hobbits will prosper in the Shire. The Dwarves will found a new colony in the caverns of Helm’s Deep and perhaps will reconquer their old home, Moria. The lesser wood Elves will remain in Mirkwood and Legolas will bring some of his people to the woods of Ithilien. But it will not last. The Hobbits and Dwarves will diminish in stature and numbers. The Elves will fade away to be forgotten to pass into the West. Even the works of Men may not last. While walking the streets of Minas Tirith, Legolas predicts that the works of men will outlast those of the Elves and Dwarves. To that, Gimli replies that they may come to nothing but might-have-beens. To that, according to Legolas, even the Elves know not the answer, and if the Elves do not know it, presumably no one does. The Return of the King, then, returns to the theme of loss, found in the first two volumes of the Lord of the Rings. Even in victory, the world will never return to what it was before the coming of Sauron and much that was fair and worthy in Middle Earth must forever pass away. Even the Hobbits are not unmarked by their experiences. Frodo is wounded and will not find healing in Middle Earth. The other Hobbits are not so unfortunate, but they have grown to become worthy of sitting with the mightiest heroes of Middle Earth. They are no longer the light-hearted, carefree Hobbits who set out with Frodo at the beginning of the quest. Speaking of the Hobbits, once again, Tolkien shows that the small and the humble can do what the proud and the strong cannot. The armies of Rohan and Gondor can do no more than knock on the gates of Mordor while Frodo and Sam can creep through the defenses of Mordor undetected. The Dark Lord’s greatest captain, the Witch-King and Lord of the Nazgul cannot be defeated by the hand of man and even Gandalf feared encountering him, yet he was slain by a Hobbit and a woman who was little more than a girl. The proud Denethor and Saruman dare to look into the palantirs, knowing that Sauron dominates them with the palantir he has captured and Saruman is corrupted into serving Sauron while Denethor is driven mad with despair. 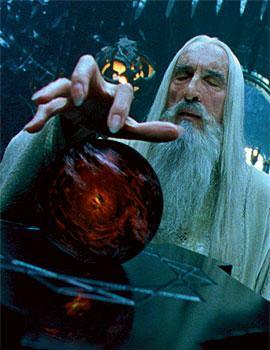 Aragorn also dares to look into the palantir. As the heir of Elendil he has the right to use what belonged to Elendil, yet he acknowledges that he barely had the strength to wrest control from Sauron. Aragorn is among the powerful, yet he shows himself to be humble enough to understand his limits. The humble Faramir also understands his limits in a way his proud brother Boromir and his father Denethor do not. Faramir, at least, is not so proud that he imagines he can master the Ring and so he does not fall into the temptation that Boromir fell into. It is the weakest character of all that plays the pivotal role in the quest, through he could hardly be described as humble. He is Smeagol or Gollum. Smeagol is a pathetic figure throughout the Lord of the Rings. Sly, treacherous and murderous, he is completely dominated by the Ring. Smeagol is weak and wretched. He does not have a sword or any weapon but can only attack from behind and attempt to strangle his enemies. He cannot bear the light of the Sun or Moon or anything made by Elves. Yet without Smeagol’s guidance, the quest would have failed as soon as Frodo and Sam left the Fellowship. Smeagol guides them through the Dead Marshes to the Black Gate and then to Ithilen and Cirith Ungol. After he betrays Frodo and Sam, he makes his way through Mordor, following them without supplies. 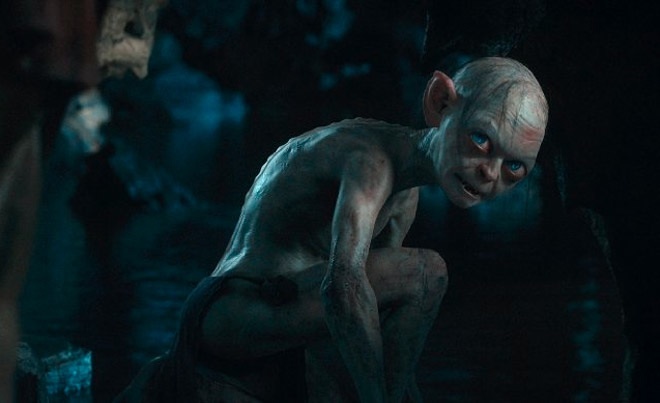 In the end, it is Smeagol who manages to destroy the Ring, albeit unintentionally and at the cost of his own life. In Smeagol, we see a character who intends evil, but ends up doing good. In some ways, the Lord of the Rings is a pessimistic story because of the theme of loss found throughout the plot, especially towards the end. Yet it really isn’t. Certainly some things must be lost but the good is victorious in the end, even though a price must be paid for the victory. One of the greatest lessons of the Lord of the Rings is that we must not lose hope, even against odds that seem insurmountable. The Dark Lord’s victory seems inevitable and many of the men of Minas Tirith are certain that the fall of the city is at hand. For me, one of the most poignant scenes of the Return of the King is when Frodo and Sam are wandering about the fences of Mordor. While Frodo sleeps, Sam looks up into the sky and sees that through the smokes and clouds of Mordor, a single star can be seen. Sam realizes that no matter how powerful the Shadow might seem, in the end it is only small and passing thing. There is light and beauty forever beyond its reach. This is something to remember in our own dark days.